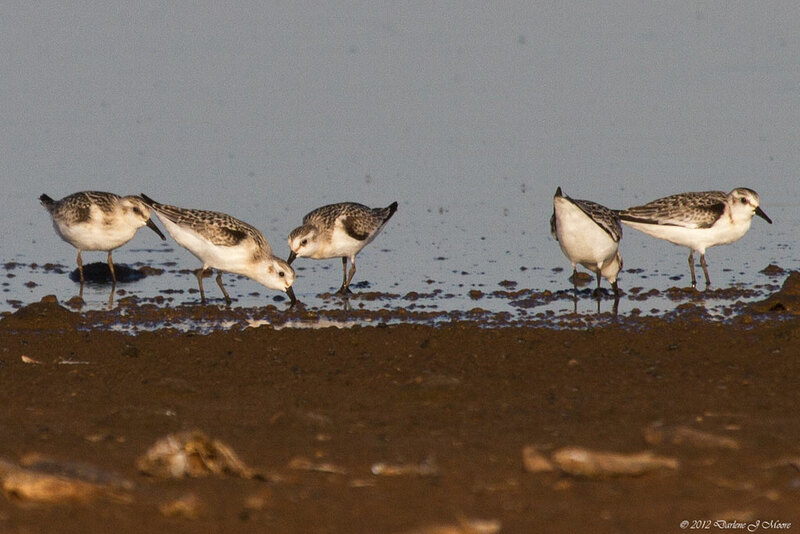 White-rumped Sandpipers with Sanderling (Calidris alba) second from left. 24 May 1987. Possum Kingdom Lake. Palo Pinto County, Texas.